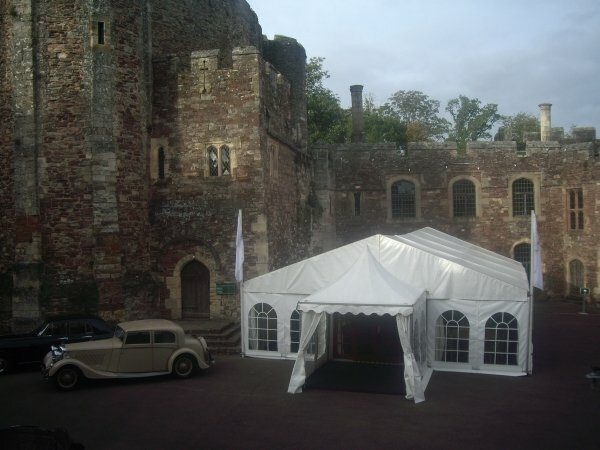 Our Aluminium Frame Marquees, or Clearspan Marquees are a much more adaptable solution, whilst still able to offer the same luxurious feel of our Traditional and Victorian Marquees. 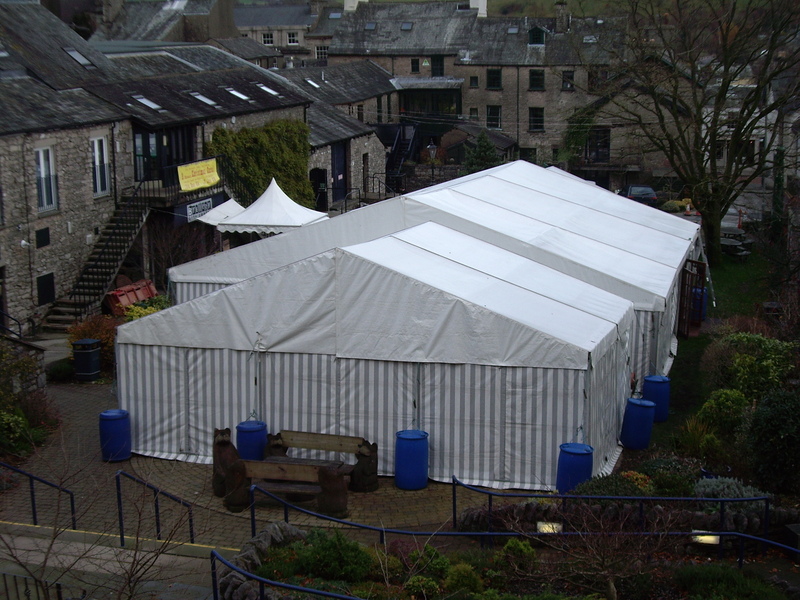 These are ideal for hard surfaces such as patios and car parks where space is at a premium, or where a full clear span of space is preferred (without king poles and guy ropes). 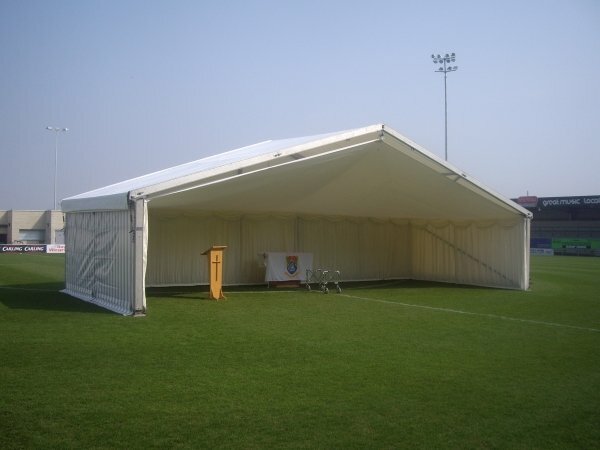 Our Frame Marquees are also extremely flexible in terms size and layout, and are able to be arranged in a variety of ways or adjoined to buildings in certain instances. 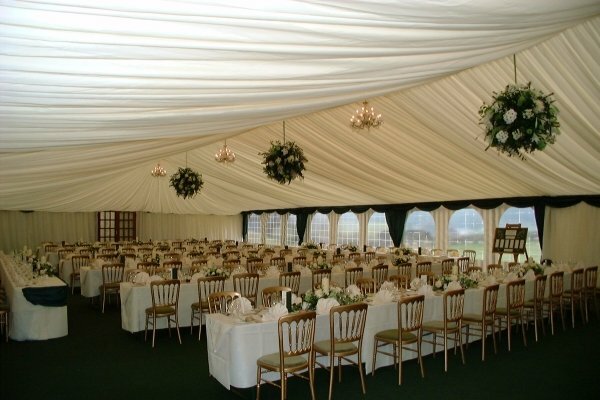 If you're thinking about having a Marquee for your Wedding, or would like a quote for your event or party, please get in touch using the contact form below. 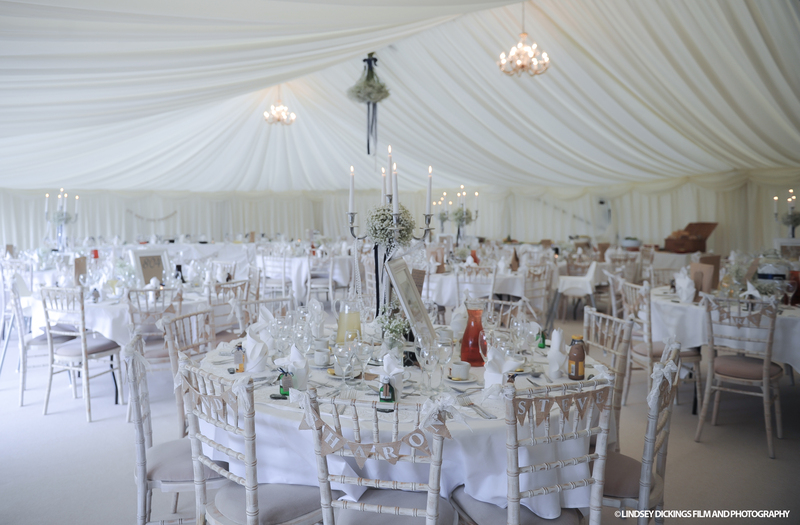 Evans Marquees are brilliant. 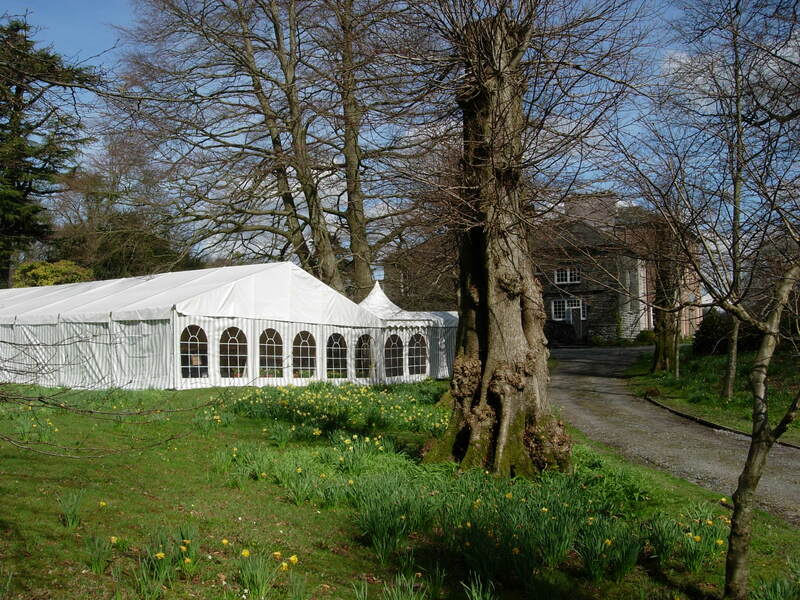 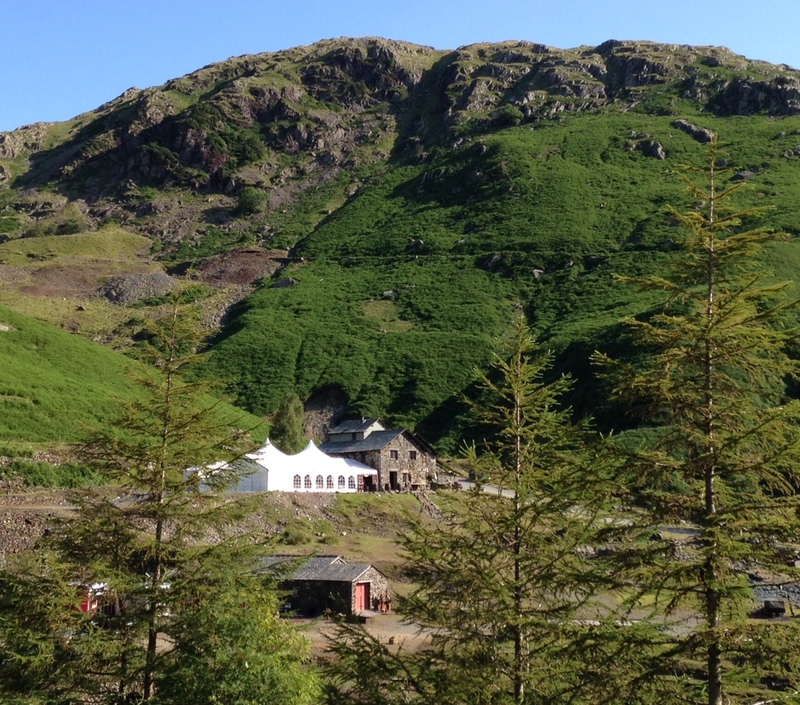 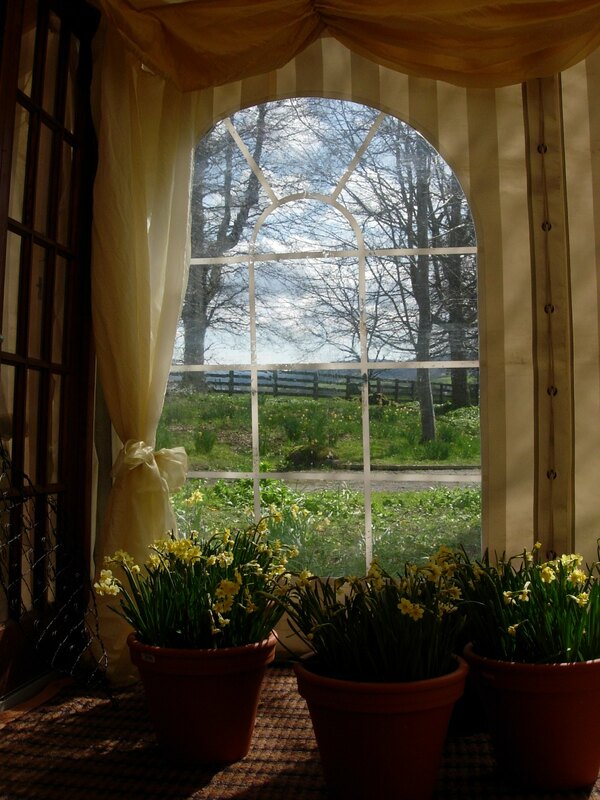 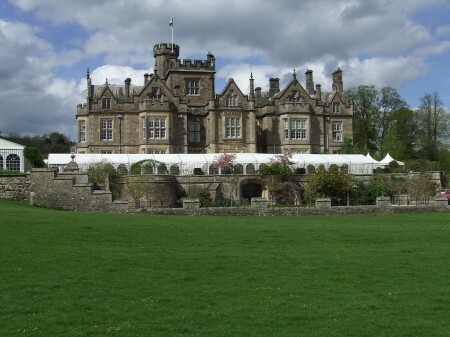 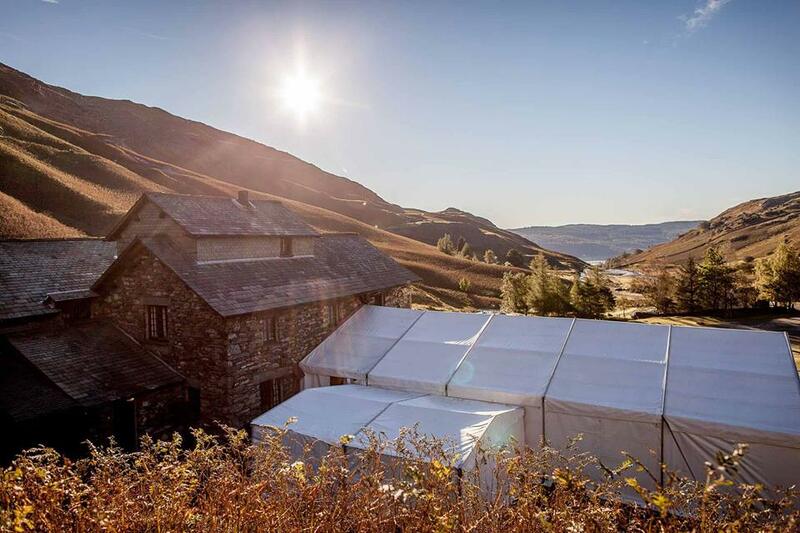 I have use their large classic marquee for a charity event each year in the Lake District. 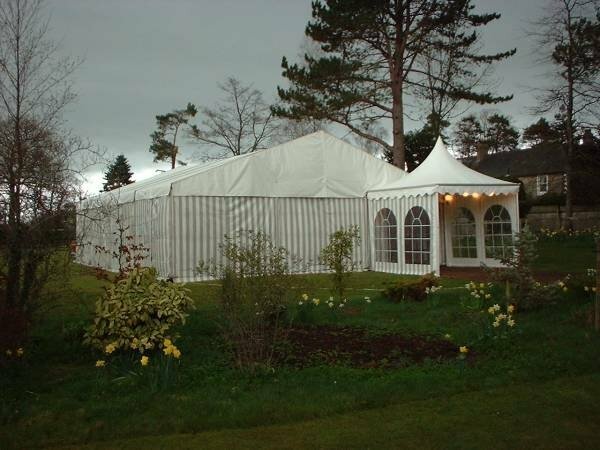 For ten years now the marquee been tested by heavy winds and torrential rain, providing the event with the essential shelter it needs to operate. 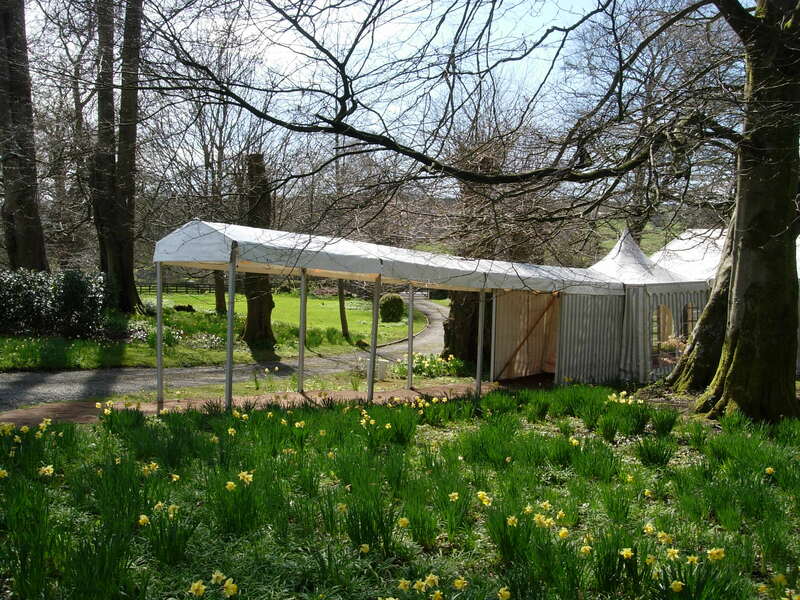 Their 'tent team' are always a joy to work with and the office always a delight to deal with. 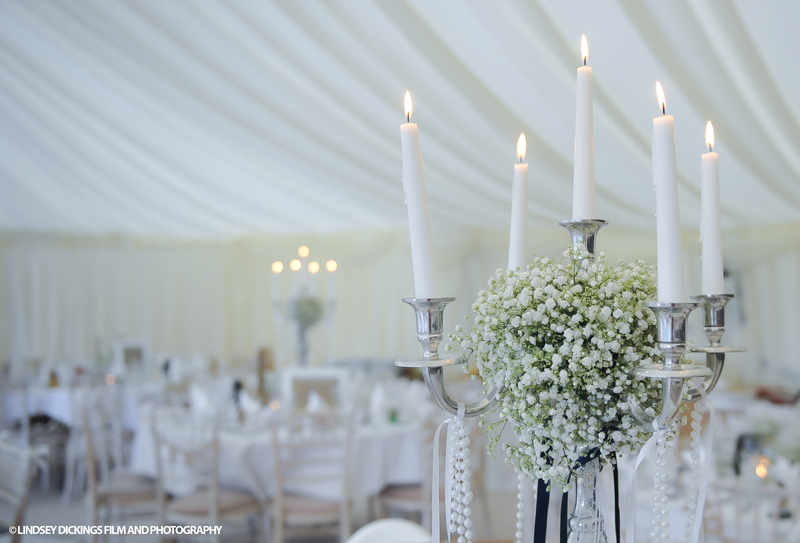 They will have our business for many years to come. 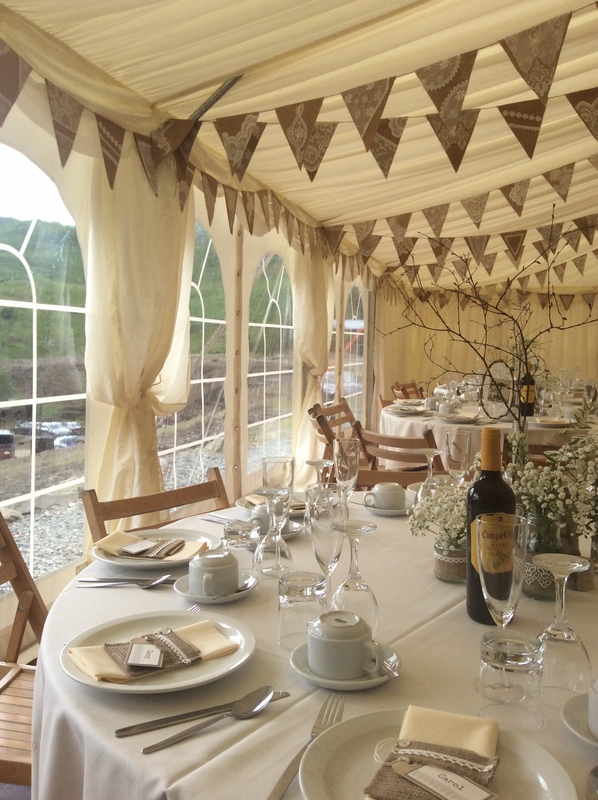 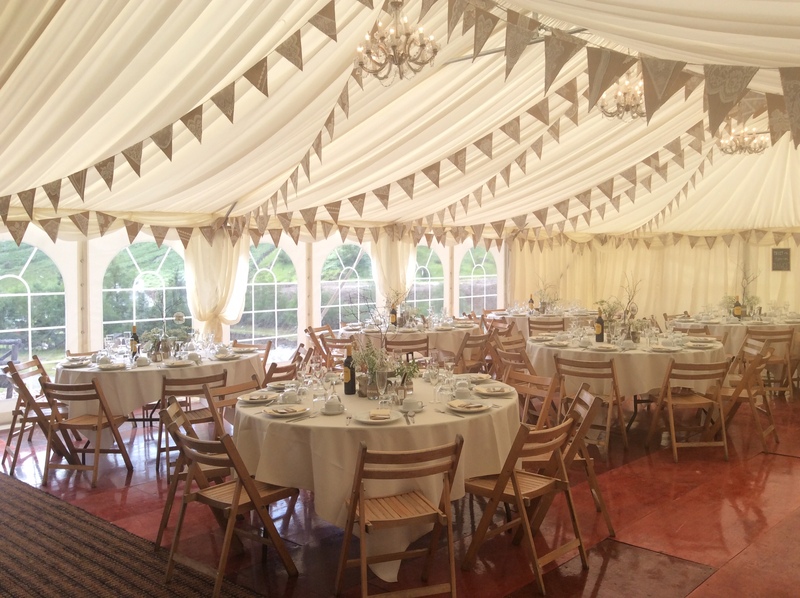 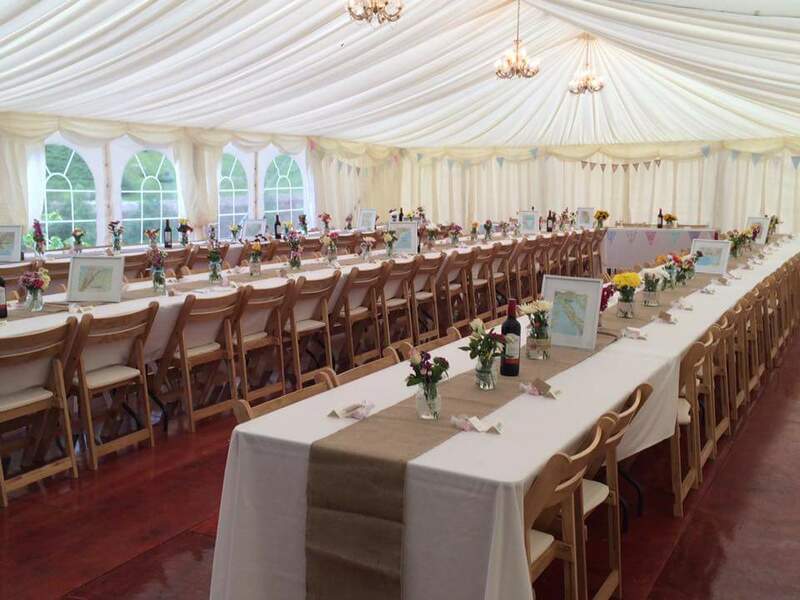 The wife and I got married last week, we wanted wooden rustic tables and chairs and couldn't find any anywhere in the area to hire - until we found Evans Marquee hire. 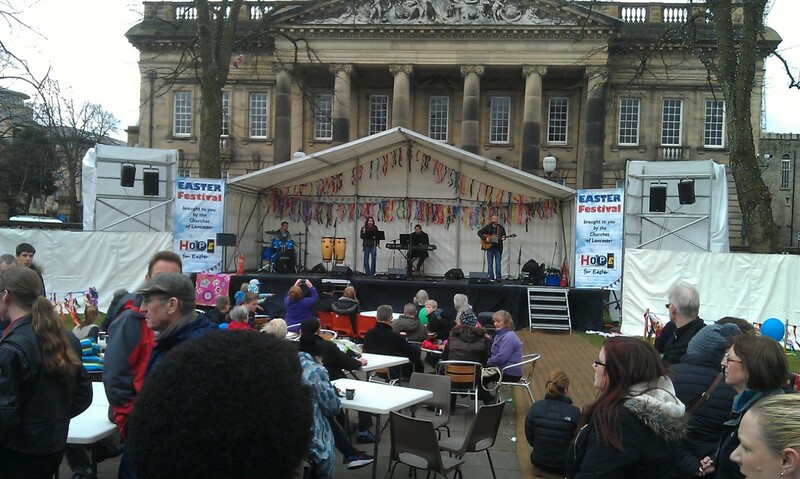 They were exactly what we were after. 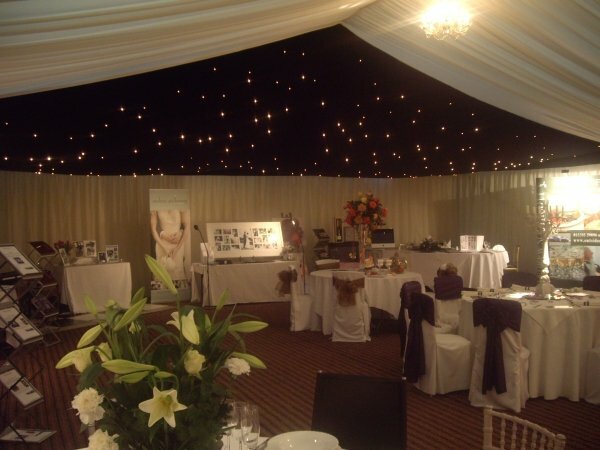 They were quick to reply to any questions we had and we had absolutely no problems with anything. 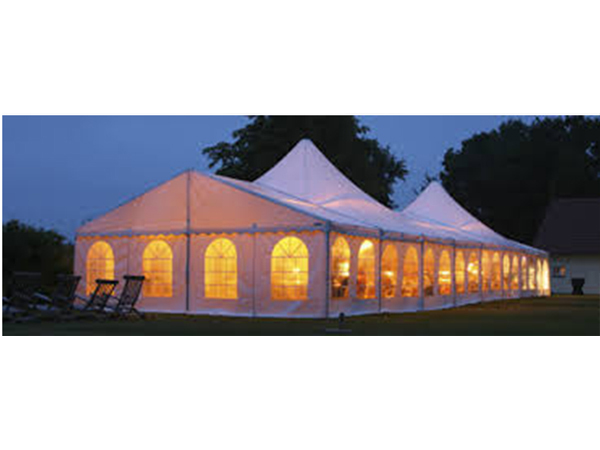 I will be recommending Evans Marquee Hire to my family and friends. 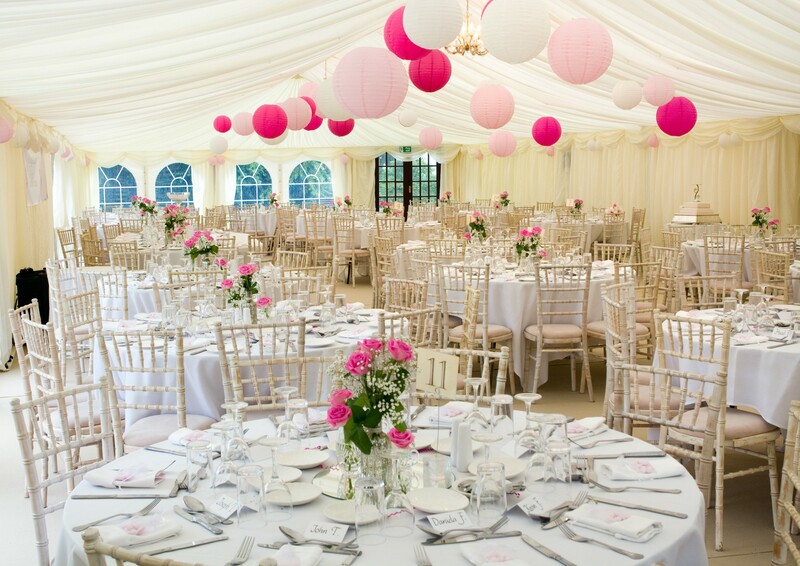 Evans Marquees have just recently supplied a marquee for one of our daughters wedding and we cannot fault them in any way. 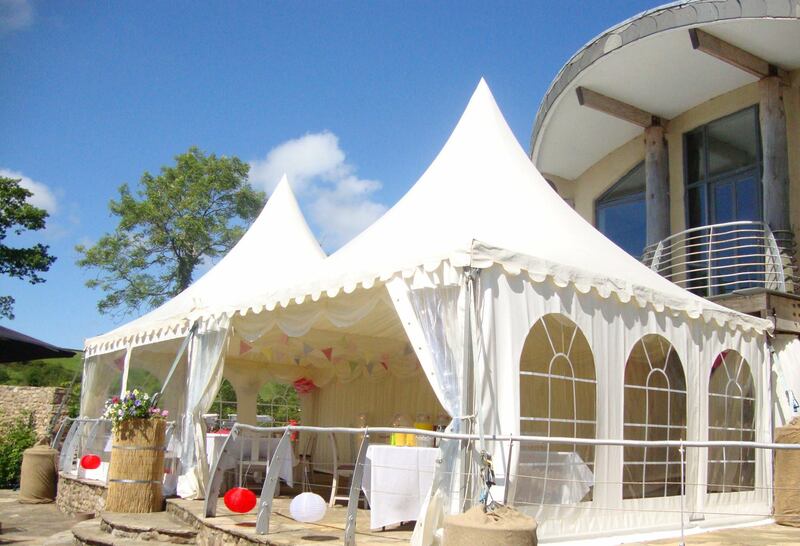 From beginning to end they were very professional and friendly and made the whole process easy for us. 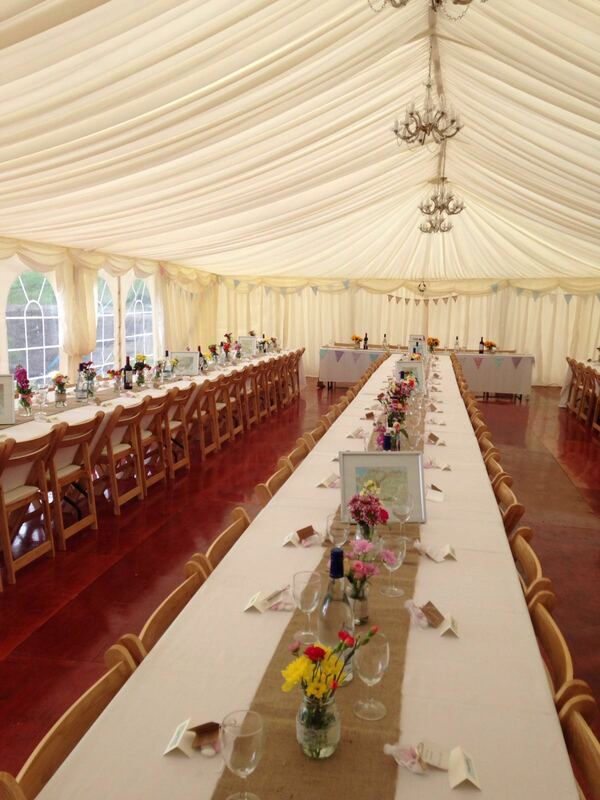 We are using them again for another daughters wedding in August and look forward to dealing with them again. 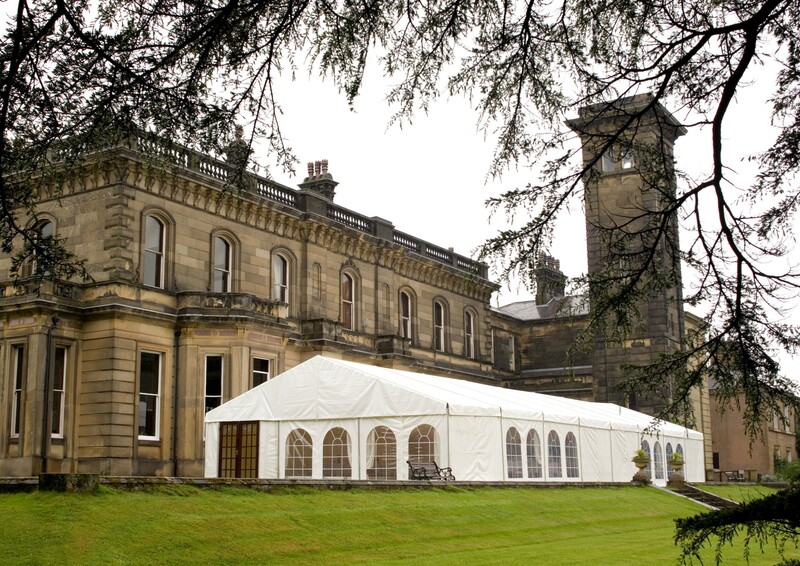 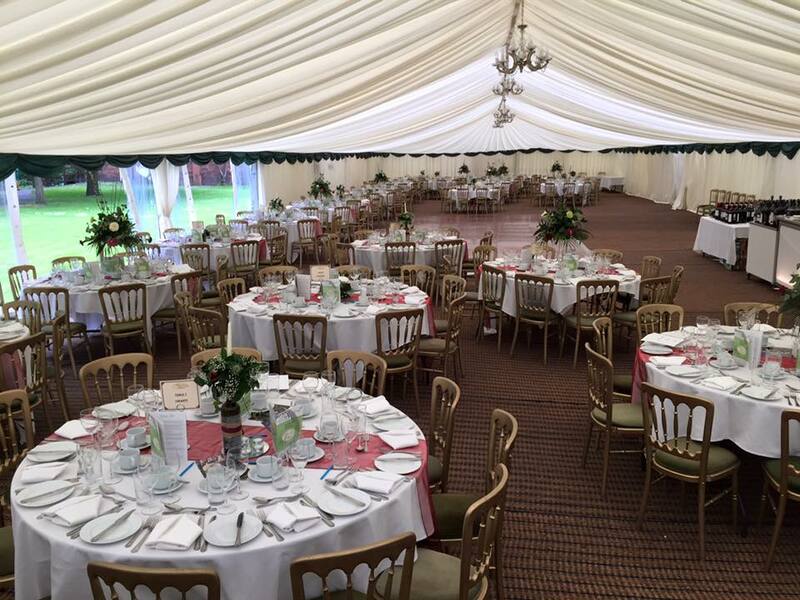 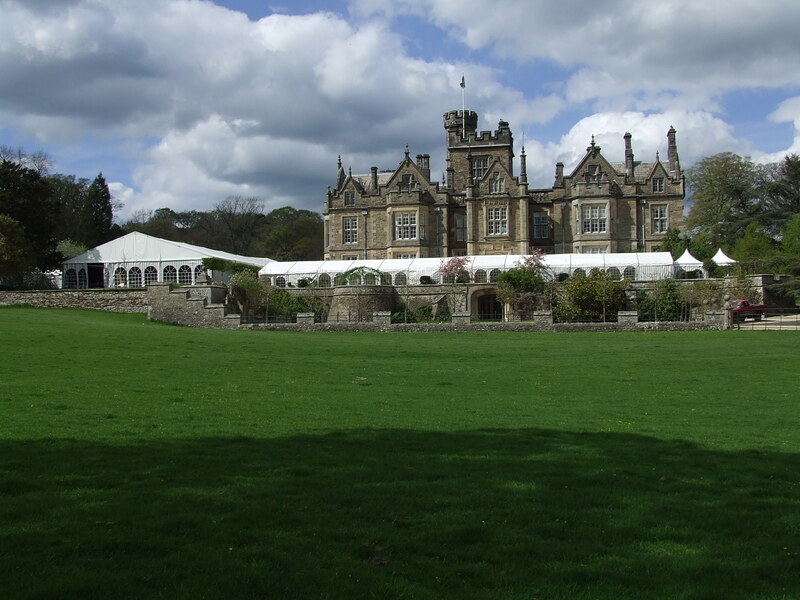 The Bishop of Blackburn has used Evans Marquees for the second time this year to hold a series of events over the last week. 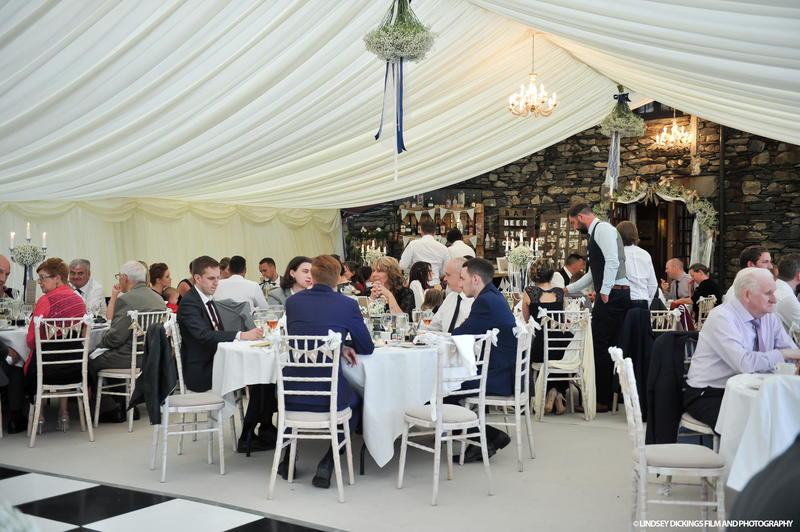 The marquee provided much needed shelter from the rain on a couple of occasions! 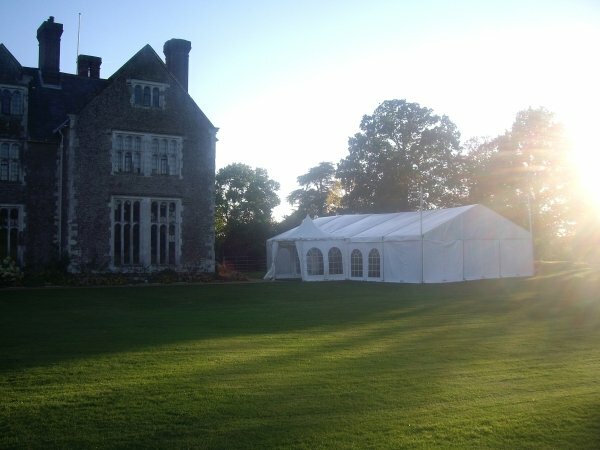 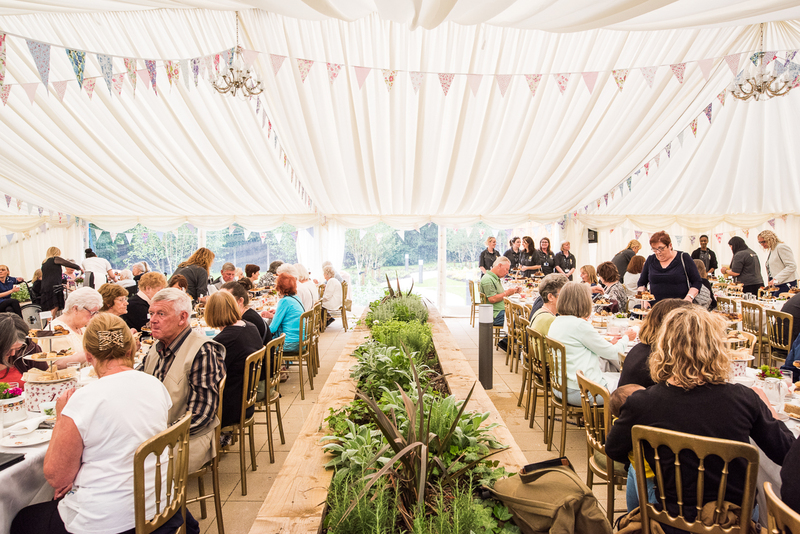 From the team who erect and take down the marquee, to the staff in the office, Evans are a great team who will always ensure that everything is just right for your event. 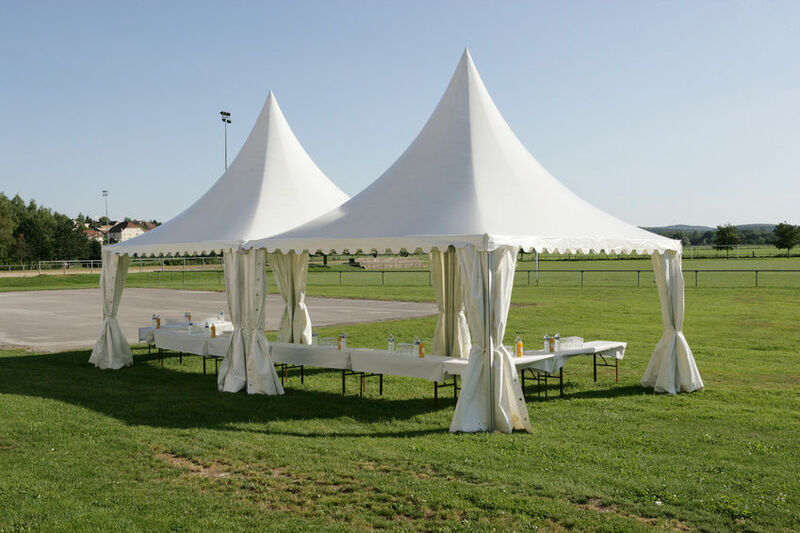 If you dont want to use the form..